Hi everyone, it's Anneke here today. I'd like to share with you a matchbox art project I created for the 'Boxes' topic. 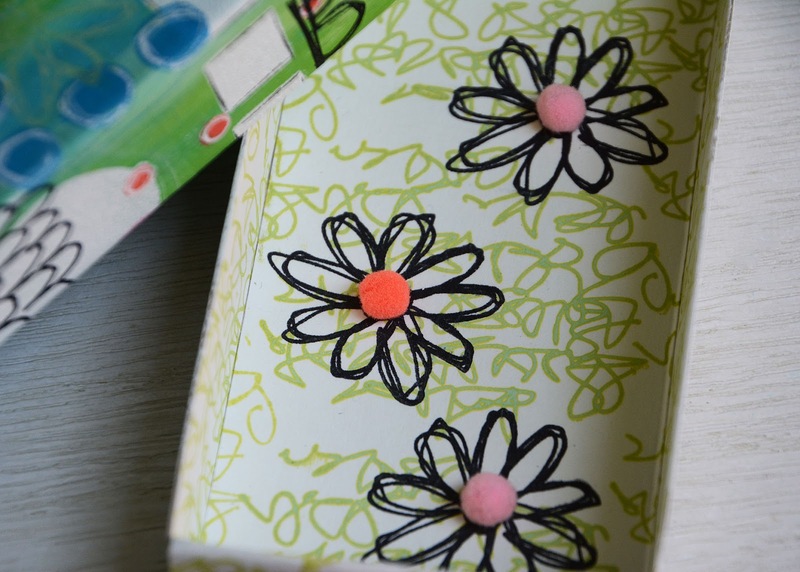 I transformed a large (12,5 x 6,5 x 2,2 cm) matchbox into a little giftbox. 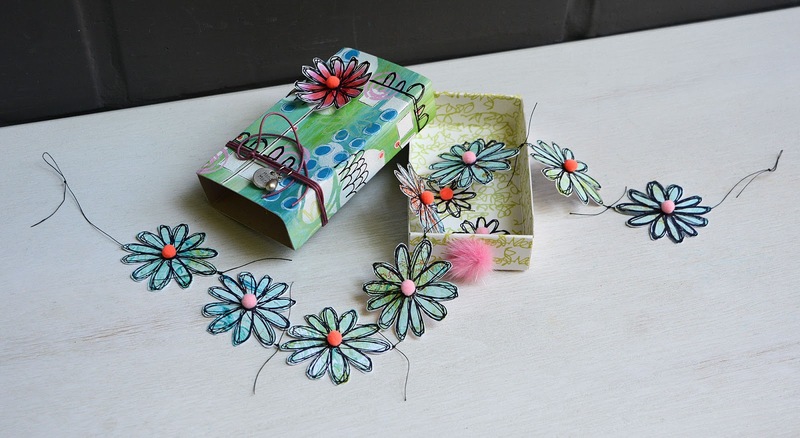 The decorated box contains a handmade mini garland. 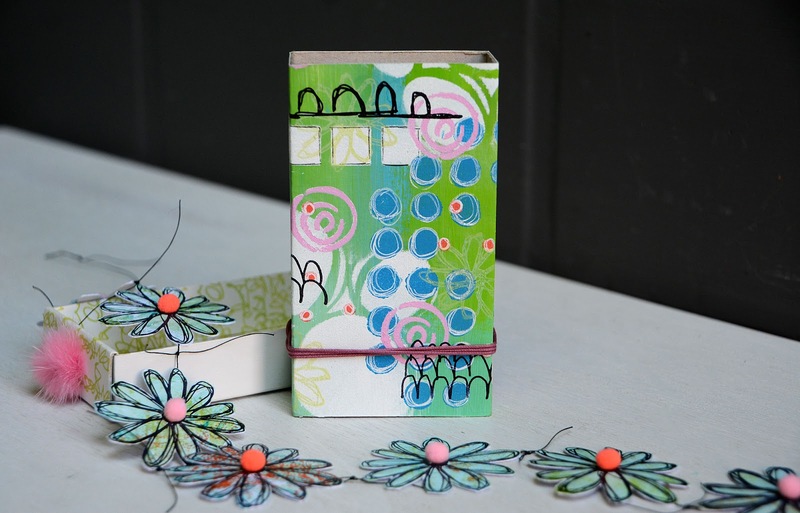 I have previously altered a number of matchboxes for all kinds of occasions. 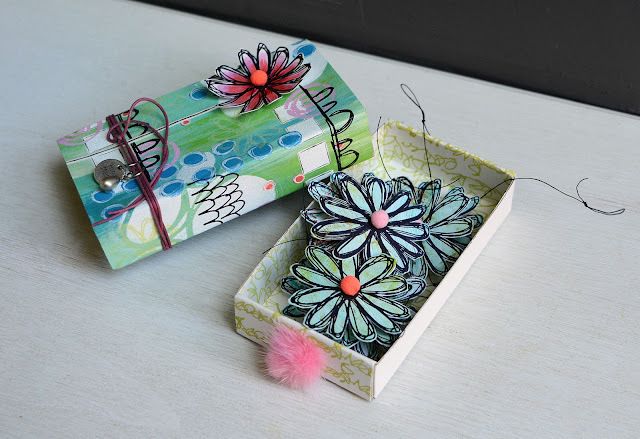 I usually decorate those boxes with patterned paper but for this project I grabbed my PaperArtsy Fresco Finish Chalk Acrylics, stamps and stencils and created my own patterned paper. For this project I used stamps from 2 of the latest Eclectica Tracy Scott stamp sets (ETS14 & ETS15). I'm very fond of the flowers from the ETS15 set, I used them on the giftbox as well as for the garland. I decorated both the outer box and the inner drawer of the matchbox. I painted the flower on the front using Fresco Finish Chalk Acrylics Candy Floss, Bubble Gum, Coral and Blood Orange (discontinued, but most similar colour is Claret). 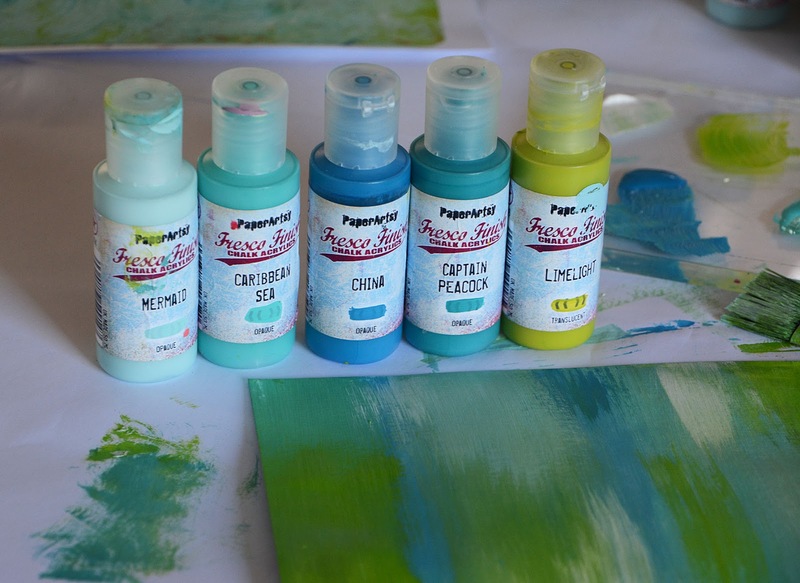 For the background paper I used on the outer box I started by painting a sheet of mixed media paper with Fresco Finish Chalk Acrylics Mermaid, Caribbean Sea, China, Captain Peacock, Limelight and Snowflake using a flat brush. I added stenciling with Fresco Finish Chalk Acrylics Snowflake. 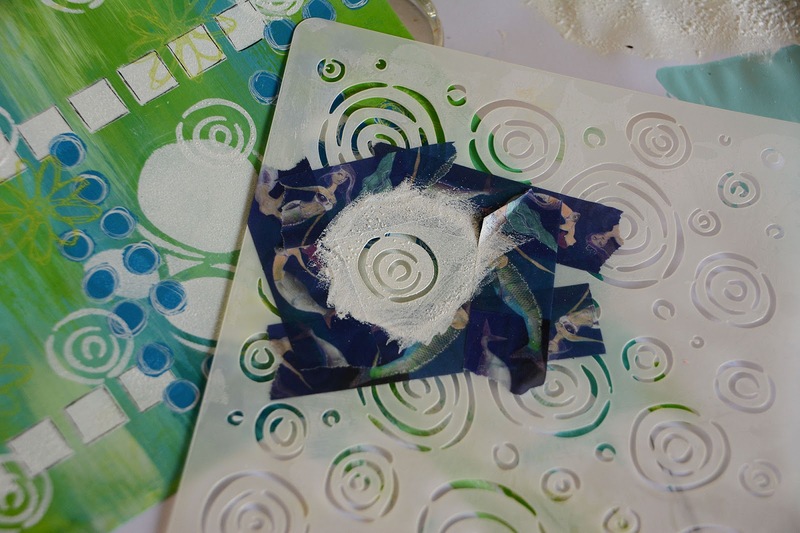 For the big circles I used the PaperArtsy Mini Mask (PM006). The squares were done using a TCW stencil (Mini Mosaic Squares). For the blue dots I used the Dylusions stencil Fresh Dots Small and Fresco Finish Chalk Acrylics China. Love that blue color! I overstamped the background randomly with the small flower from the ETS15 set using Distress Oxide Ink Twisted Citron. During the process of stenciling and stamping I held in mind which part of the paper was going to end up on the front cover. As you can see I indicated it on my underpaper. 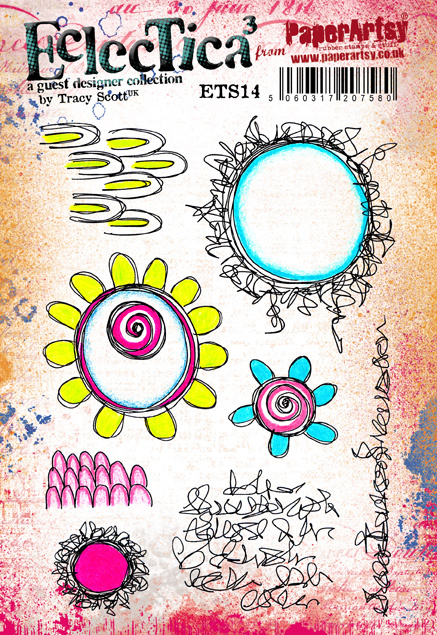 I did the pink spirals using the PaperArtsy stencil by Kim Dellow (PS034). To achieve a bright pink on top of the green/blue background I first sponged with Fresco Finish Chalk Acrylic Snowflake, then with Candy Floss. When using only a small part of a stencil I usually mask off the surrounded areas with tape. This allows me to work quickly without making unwanted marks. 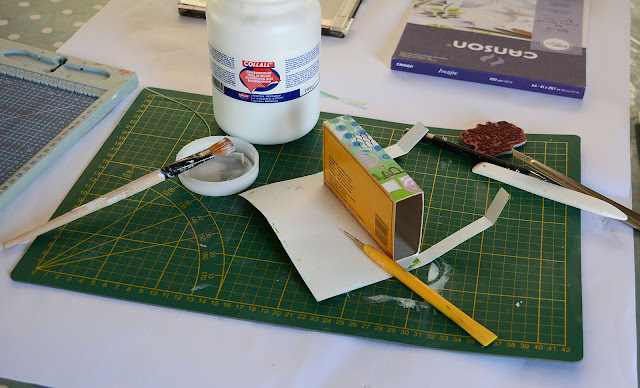 To attach the paper to the outer box I started by applying an even layer of PVA glue on one of the sides of the box. I laid the decorated paper upside down, placed the box on top and scored along the box. Those scored lines makes the turning over of the paper easier. Before moving onto the next side I cut the paper to size. 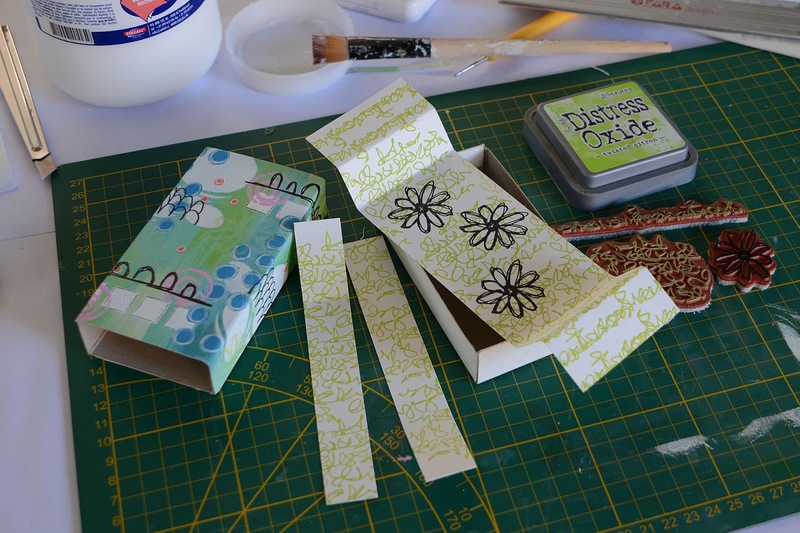 Then I applied glue to the next side of the box, turned the paper over and pressed it on firmly. I continued the same way until all 4 sides were done. To alter the drawer I measured all sides of the drawer and cut paper to size. 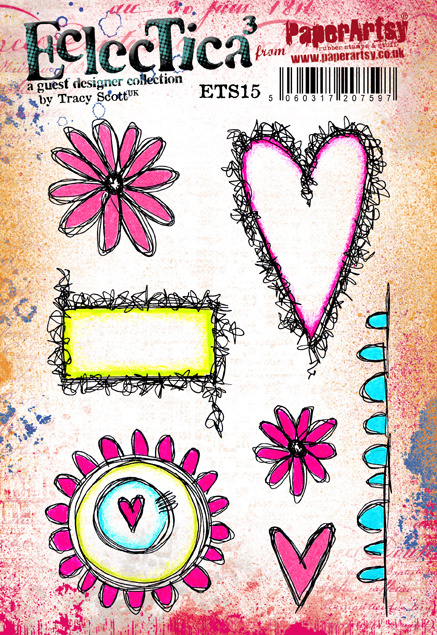 I used the beautiful scribble stamps from the ETS14 set to decorate the paper. 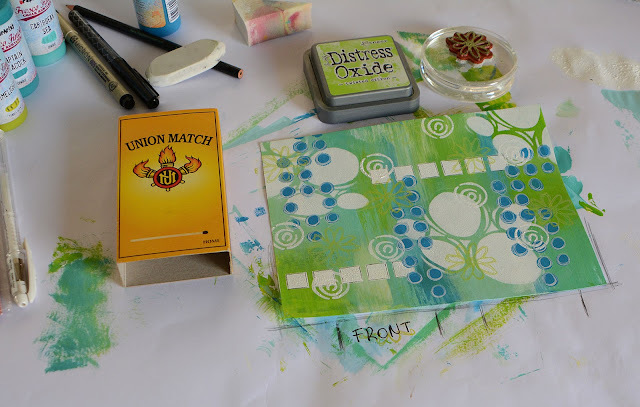 The stamping was done with Distress Oxide Ink Twisted Citron. I glued everything in place and used a bone folder to press down the paper and remove air bubbles. Remember to respect drying times as otherwise the drawer could get stuck in the box. The black stamping on the outer box was done with stamps from the ETS14 set. For the tiny orange dots I used the PaperArtsy stencil by Clare Lloyd (PS023) and Fresco Finish Chalk Acrylics Coral. To create the garland I stamped 8 flowers on a gel print from my stash using Archival Ink Jet Black. 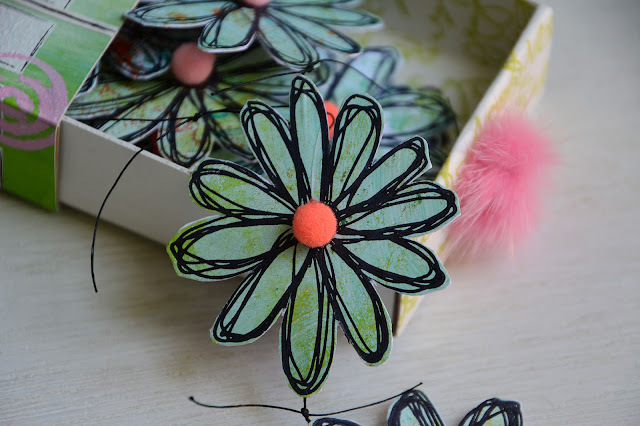 After cutting out I glued each colored flower onto a scrap of white paper, sandwiched some black thread in between. I cut off the excess of white paper and attached the flowers onto each other by knotting the black thread, made a loop at both ends. I stamped 3 flowers to the bottom of the drawer using Archival Ink Jet Black. I glued mini pompons to the centers of the flowers. I love turning simple matchboxes into little packages. Recycling something that normally ends up in the bin is so fun to do! I hope you'll give this recycling idea a try. 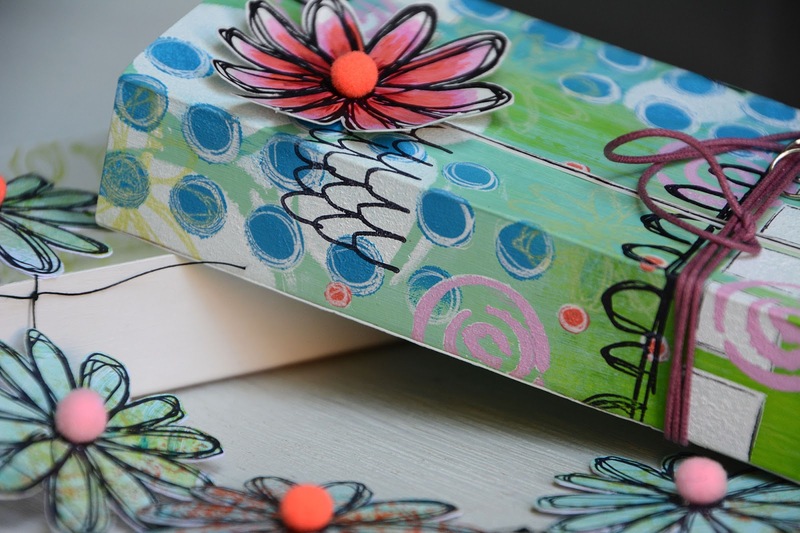 You can decorate those gift boxes in any theme and for any occasion. Think of an anniversary, a wedding, a birth, a retirement ...or just to cheer someone up. The possibilities are endless. In the drawer there is room for money or a gift card. The garland is a cute little extra and makes the gift-box even more festive. 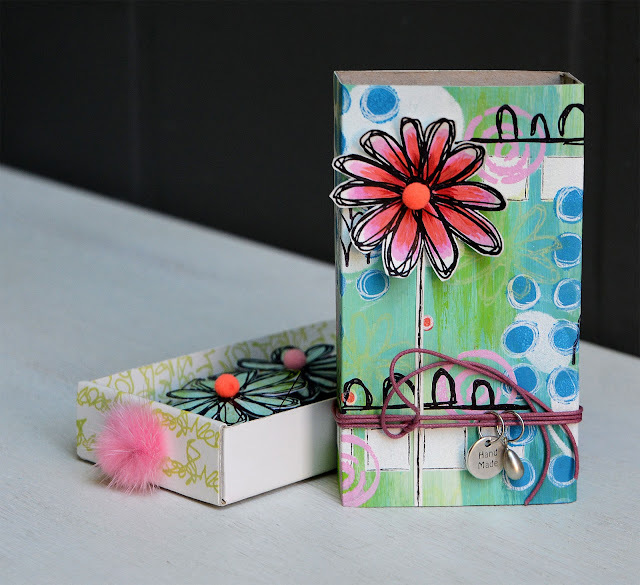 wow, how cute is this gorgeous matchbox!! 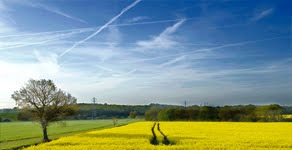 This is glorious, Anneke, you have such wonderful colour sense always and you have kept the colours so fresh! Adorable! Love the bright colors and garland. I love this matchbox... awesome! 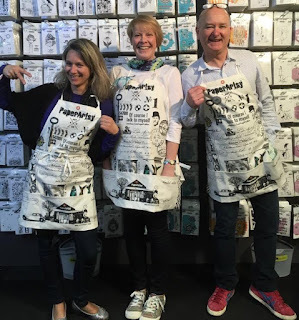 Thank you for such a fun inspiring post. Really love this project. The stamps and colors are all awesome. 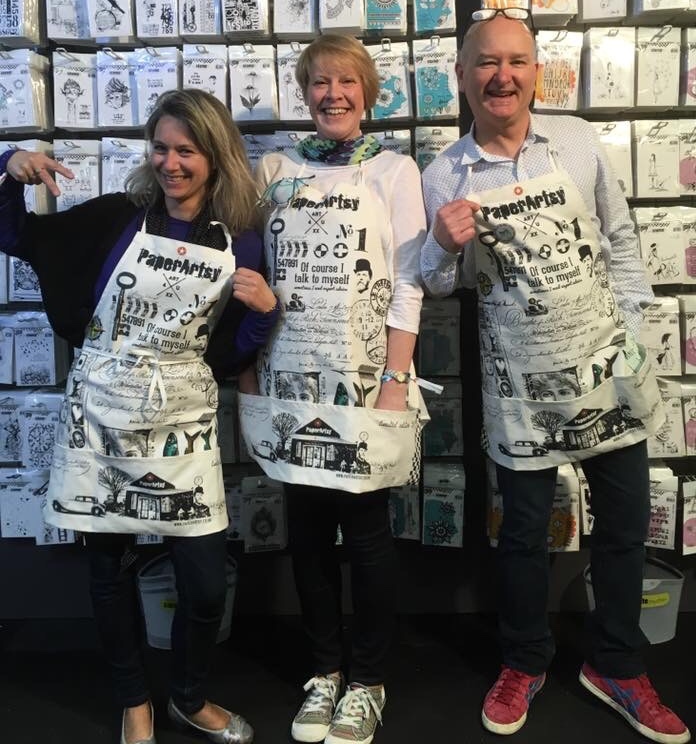 Fabulous project Anneke, as ever I love how you do your layers and put your colours together, it's very inspiring! 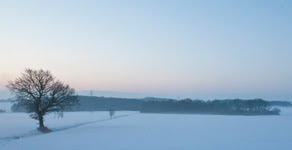 A great project and a very inspiring post. I love this.